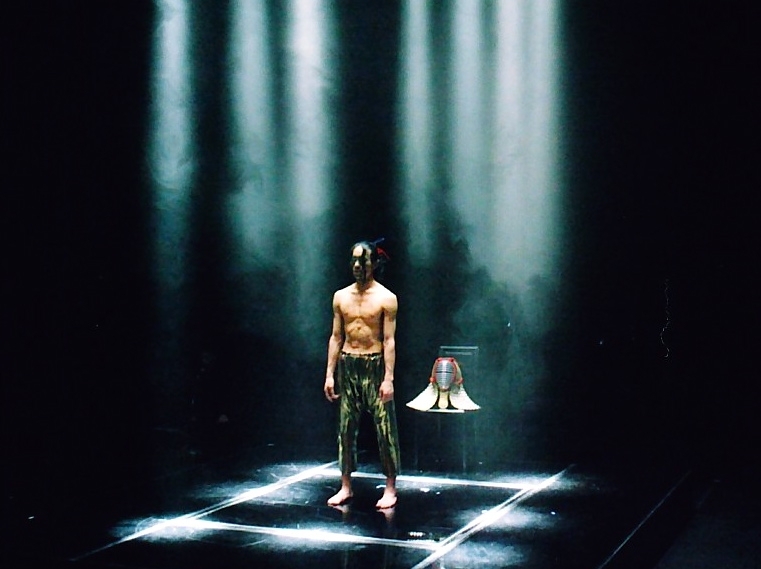 This performance is based on the classic Noh work "Sotobakomachi". When the man was disappointed by present day life and wished to die, he encountered the ancient beauty going beyond the time and space. lose your head over this love which burns your life without hesitation..."
We, mi-kuni, have been trying to breath life into Japanese ancient tales Noh, Kagura , Minyoh. The sexual love lies beneath our ordinary life. Sometimes it's sweet as honey, and sometimes it's merciless. The tales about a hight minded and foolosh man and woman who had fallen into temptation. From ancient times in Japan , the relationship between gods and human , or man and woman used be called "Katarai". 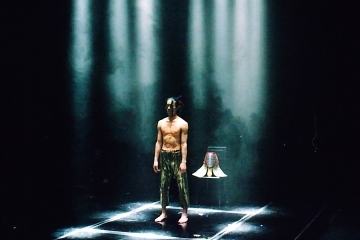 This is a performance work which represents its sacredness and lineage. The survivors of mi-kuni, who were invaded by the thirsting for blood northern race, lied low in "" which was a place surrounded by mists and a cliff. In spite of its extreme situation, they never stopped their beautiful rituals and the exchanges between gods and spirits. This is the maiden work of mi-kuni and furthermore it's a remarkable performance which embodiments mi-kuni's vision.